It starts with data, but it ends with tools that empower action and change lives. 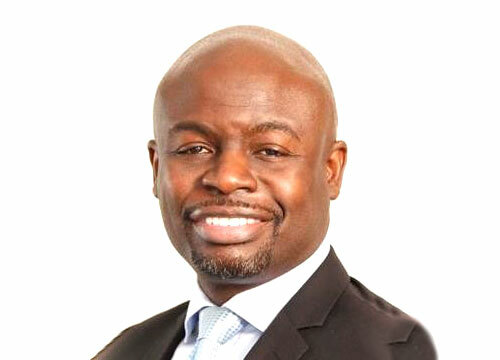 Dr Ernest Darkoh is an internationally renowned expert in strategic planning, systems and large-scale public health program management and implementation. He is passionate about using new cutting- edge technologies that radically improve healthcare delivery and ignite improved development sector outcomes. Ernest has worked with governments, international normative organizations and the private sector across Africa, Asia, the Caribbean, and North America. He currently oversees BroadReach’s extensive health systems strengthening efforts in South Africa as part of the USAID PEPFAR program. We are at a critical juncture in the global fight back against HIV, the end could be in sight. The recent PEPFAR launch of USAID’s APACE (Accelerating Program Achievements to Control the Epidemic) ushers in the next wave in South Africa’s effort to achieve a healthier population by controlling the HIV/AIDS epidemic. South Africa is currently the global epicentre of HIV/AIDS, and BroadReach is proud to have been a trusted partner of the South Africa Department of Health since 2004. Despite numerous successes, the epidemic persists and has evolved. Patients who have been on long-term treatment are struggling with adherence and drug resistance related issues. Newly infected individuals are harder to find because they feel healthy and therefore do not feel compelled to interact with a health system largely geared towards dealing with very sick people. Of the 7.1 million people estimated to have HIV in South Africa, it has taken a massive effort to get 4.4 million on to treatment and it is going to be exponentially harder to get the remaining 2.7 onto treatment. This, combined with the fact that new infections are still on the rise, means that we need to kick things up to the next level- and we can only do so by adding better “game changing” tools to our toolkit. Inform and empower the population: It has been over 30 years since the first cases of HIV broke. In that time, we have learned so much about the disease however there are shockingly high levels of misunderstanding about basic things like how the disease is spread, where to get testing, what a positive test means, or how to care for yourself if you are infected. This indicates a failure at a grand scale to translate information into understanding and understanding into behavior change. Patients and the population at large need the right data, information and facts to be empowered and be the lead agents in the management of and communities. current as possible- ideally, real time. Customize our program to population sectors: We must be able to interpret the data and turn it into the right actions. Who are the patients? Decades of HIV/AIDS programming have shown that you have to approach men, women and children very differently. And even within these groups there is a lot of variability by age, gender identity, profession, location, cultural group etc. Different populations require very different entry points. Take the right actions: On-the-ground insights and proven best practice implementation to guide staff – in real time – create programs that are agile and responsive to what’s happening right now. We need data to monitor that, coupled with the ability to respond fast using the insights that data delivers. This is an opportunity to use the new technology that’s emerged to help address the 'the gap’: the insight gap, the management gap, the intersectoral collaboration gap, and the implementation gap in the field – because tackling the spread of this epidemic is critical to the very survival of our beautiful country. We know that we have not yet cracked the nut of prevention. The other pressing issue is adherence to treatment. So, we need to get a lot smarter. We’ve given the epidemic a good beat down, but it’s still larger than we are. We need to get a handle on the data today and codify our past learning in the form of best practices so that we can use them to improve outcomes at scale into the future. It starts with data, but it must end with tools that lead to action and create impact. It is not enough to just know about the problem through a data insight, we need to know the most effective thing to do about it. The game changer will be the technology tools that take the insight from a data point, to an action step in the field, to thousands of healthcare workers, patients, their families and communities. The UNAIDS 90/90/90 targets have been a great rallying cry for those working to control HIV/AIDS. The reality is that the target needs to be 100/100/100 – and if we use the data correctly, that’s entirely achievable in our lifetime.